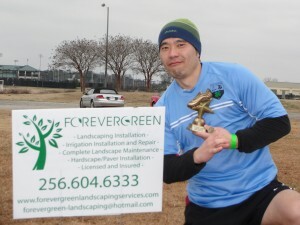 In each division we award a golden boot for the top scorer in match play. 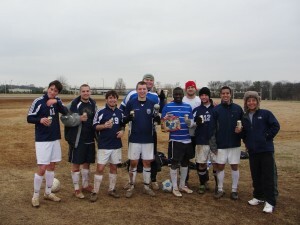 There were two divisions this year and the Open and Rec champions are pictured below. 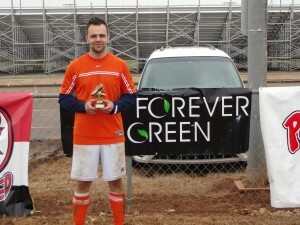 John (Nasty) Lawrence secured the open golden boot with 7 goals and Gilbert Stark of FC International secured the recreational title with 9 goals. 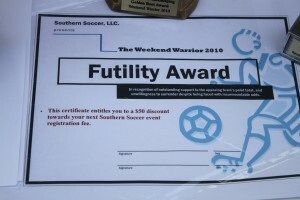 New this year, the futility award is in recognition of outstanding support to the opposing team’s point total, and unwillingness to surrender despite being faced with insurmountable odds. 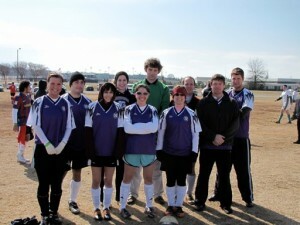 This team truly embodies the spirit and name sake of the Weekend Warrior Tournament. 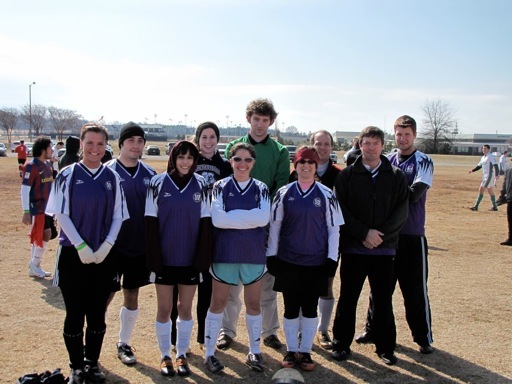 The Rusties originally slated for Co-ed folded into the rec division and were able to secure this prestigous award (with monetary value i might add). The juggling competition didn’t draw as much as I had hoped, I heard a wide range of excuses but provided a good pre-game warmup for the few brave souls who did venture to participate. 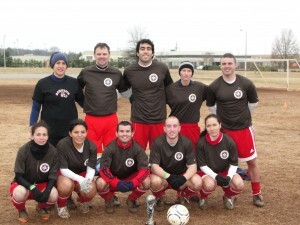 All of the money went to The Melissa George Neonatal Memorial Fund at Huntsville Hospital. 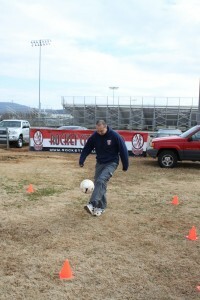 Winner Joseph Griffin juggled for a full 2 minutes and 30 seconds to secure the ball pictured in the competition.